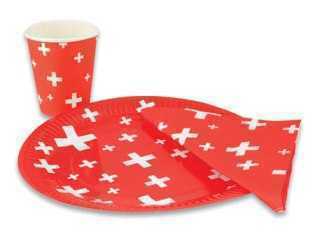 One Swiss National banner that has 15 Swiss National flags on a string. Flags are 8 x 8 inches, banner is 16 feet long. Service Area: New Glarus, Beloit, Madison, Janesville, Rockford, Loves Park, Stoughton, Whitewater, Baraboo, Monroe, Verona and surrounding communities.